A selection of the best photographs uploaded to imaggeo in 2015, as voted for by our Facebook followers. If you are pre-registered for the 2016 General Assembly (Vienna, 17 – 22 April), you can take part in our annual photo competition! Winners receive a free registration to next year’s General Assembly! 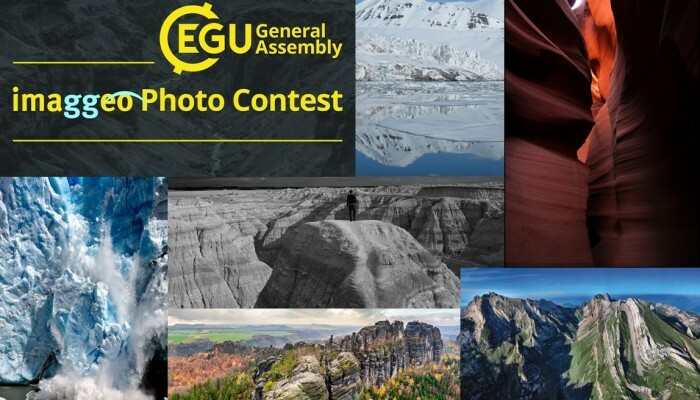 The seventh annual EGU photo competition opens on 1 February. Up until 1 March, every participant pre-registered for the General Assembly can submit up three original photos and one moving image on any broad theme related to the Earth, planetary, and space sciences. Shortlisted photos will be exhibited at the conference, together with the winning moving image, which will be selected by a panel of judges. General Assembly participants can vote for their favourite photos and the winning images will be announced on the last day of the meeting. We particularly encourage submissions representing Active Planet, as there will be an additional prize for the photo that best captures the theme of the conference. If you submit your images to the photo competition, they will also be included in the EGU’s open access photo database, Imaggeo. You retain full rights of use for any photos submitted to the database as they are licensed and distributed by EGU under a Creative Commons license. You will need to register on Imaggeo so that the organisers can appropriately process your photos. For more information, please check the EGU Photo Contest page on Imaggeo. Previous winning photographs can be seen on the 2010, 2011, 2012, 2013, 2014 and 2015 winners’ pages. In the meantime, get shooting!